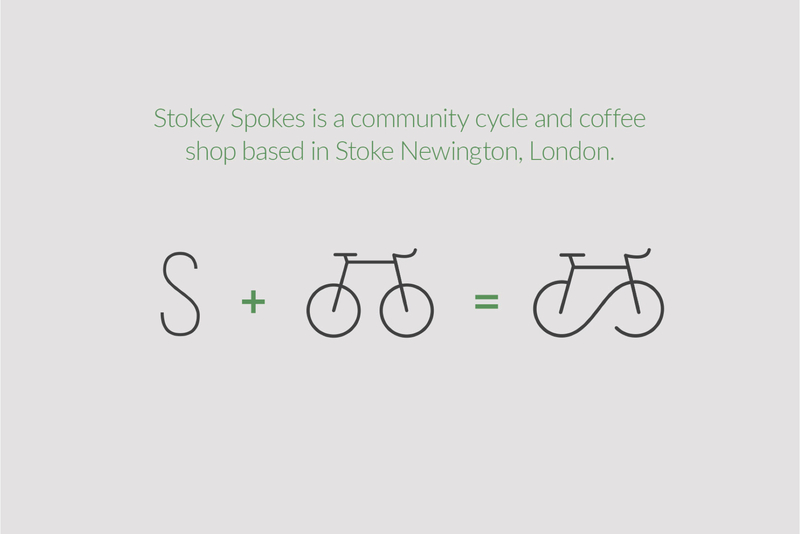 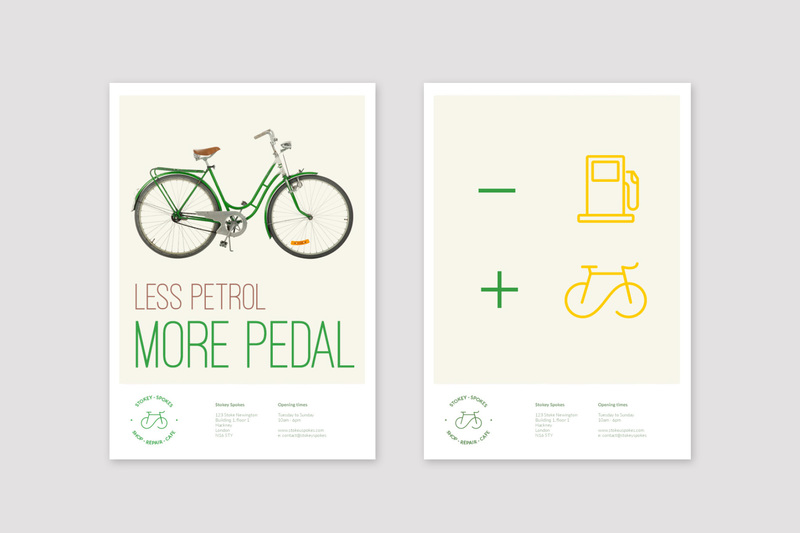 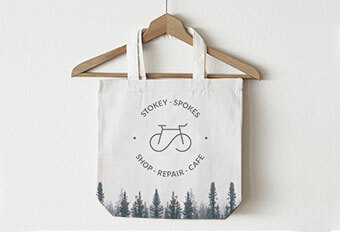 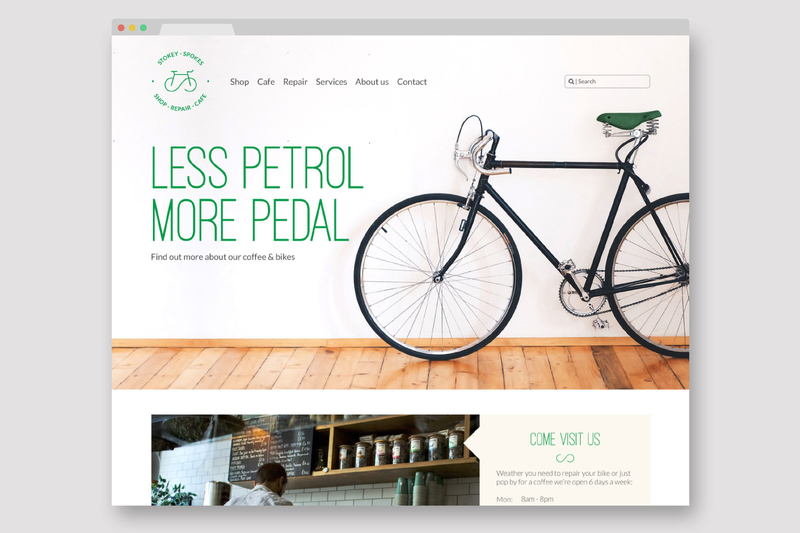 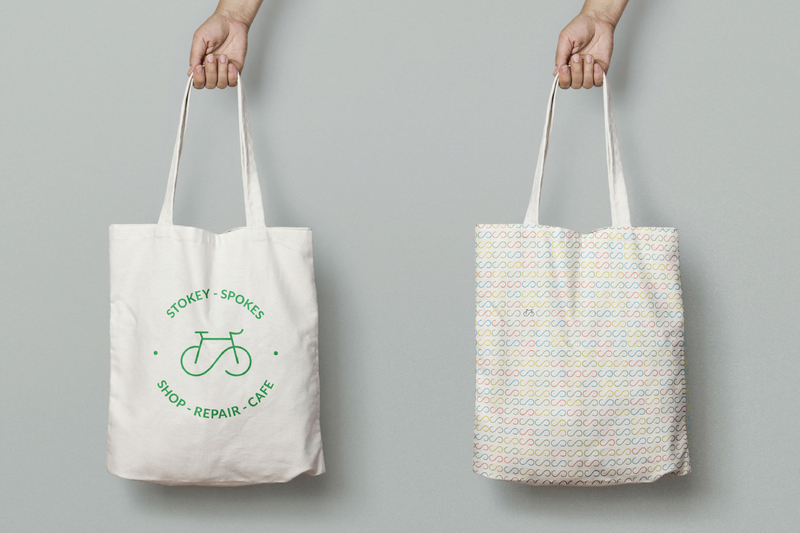 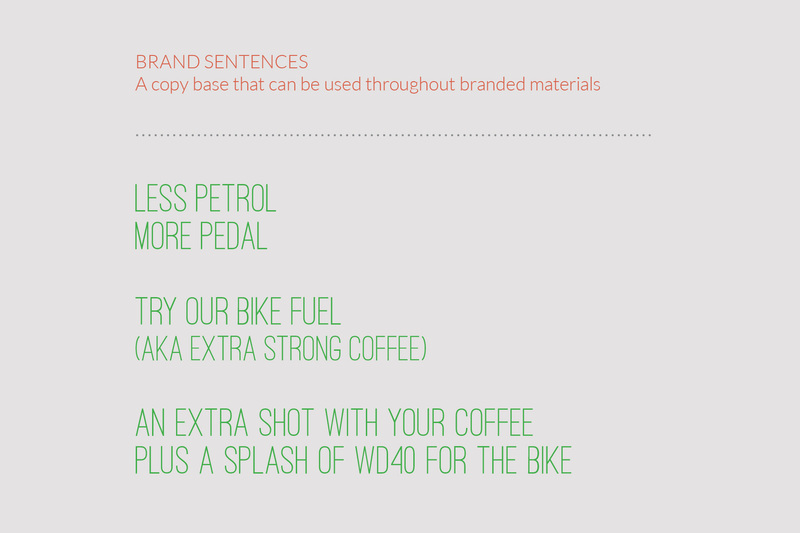 The North London cafe and bike store, Stokey Spokes, needed a brand identity to help them connect with their customers and set them apart from other local competitors. 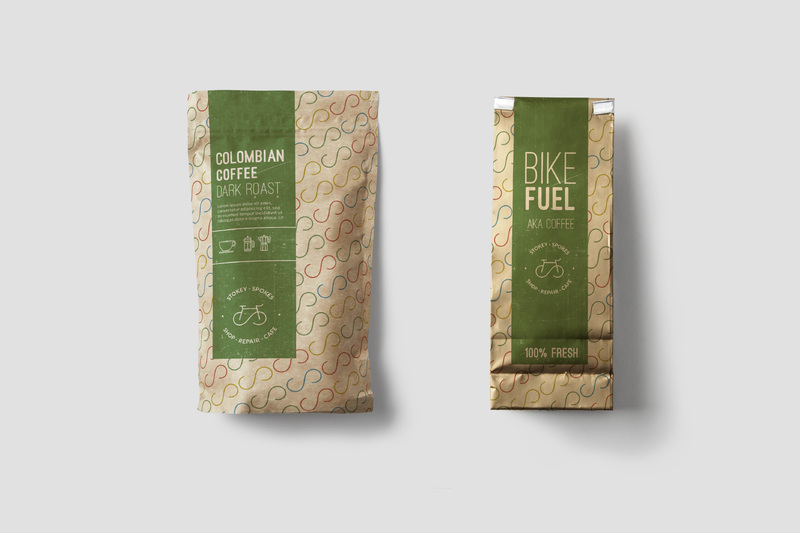 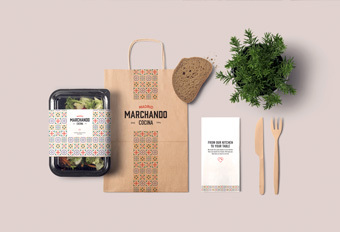 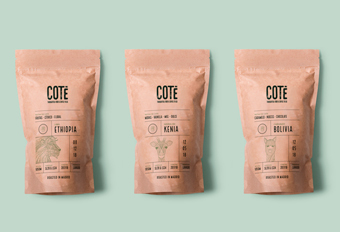 An identity had to be created that was based on ideas of sustainability, local community involvement and quality products. 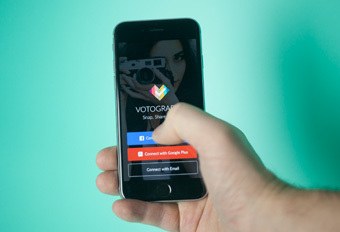 A set of values were written that formed a base of how the company acted and communicated, from here a set of phrases and images that encapsulated this essence were created. 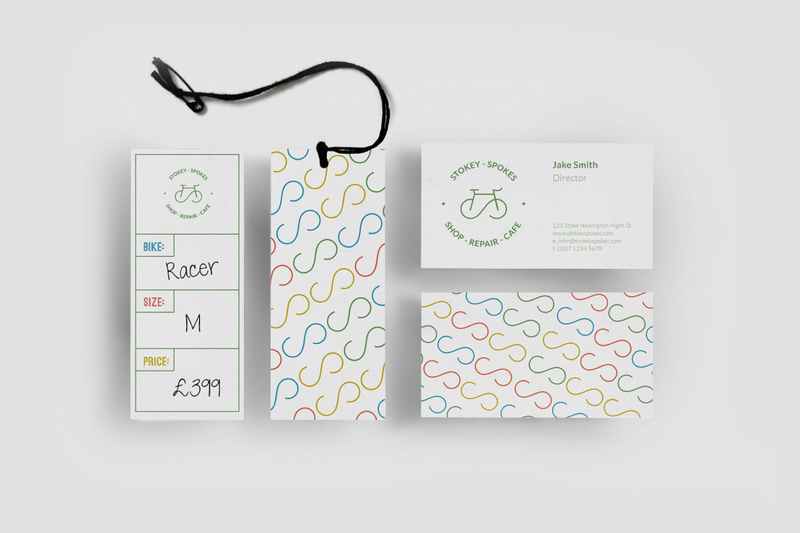 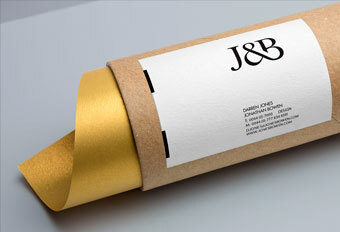 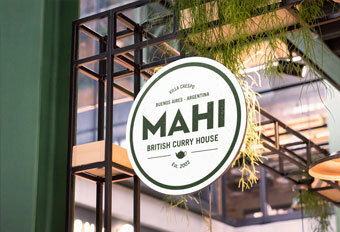 This resulted in a informal honest tone of voice and a quirky original visual identity.